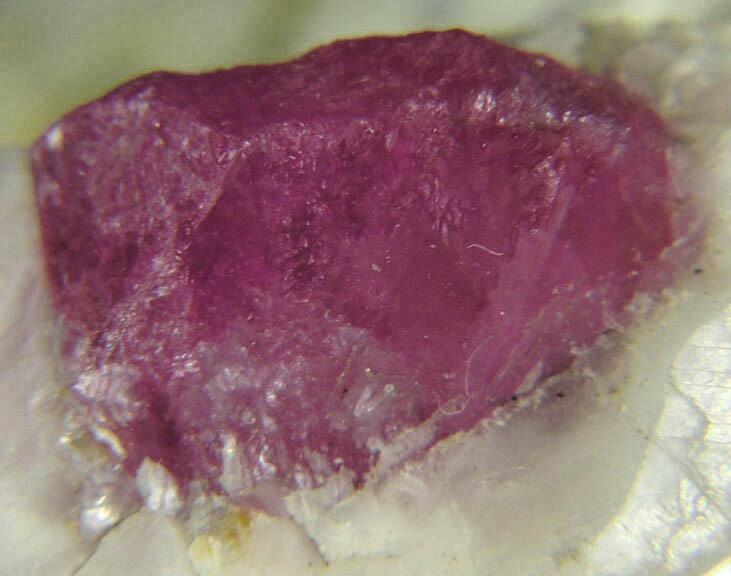 Rubies from this locality are few and far between these days in my experience. 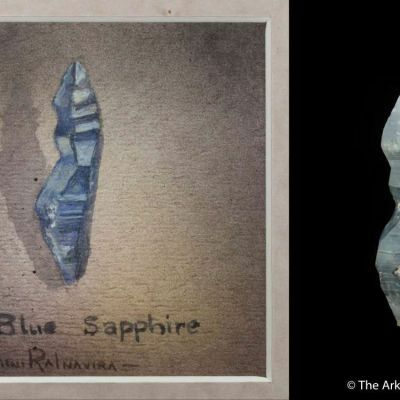 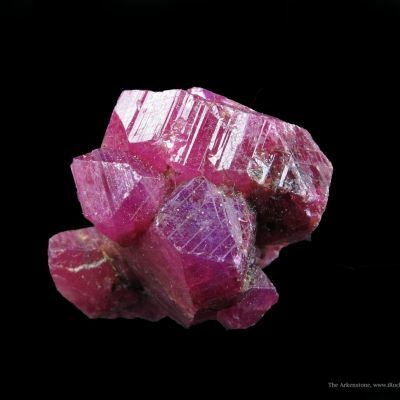 The best of these specimens are certainly some of the finest crystallized Rubies in the world. 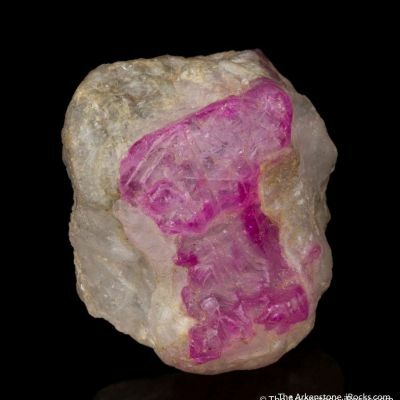 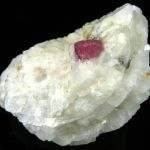 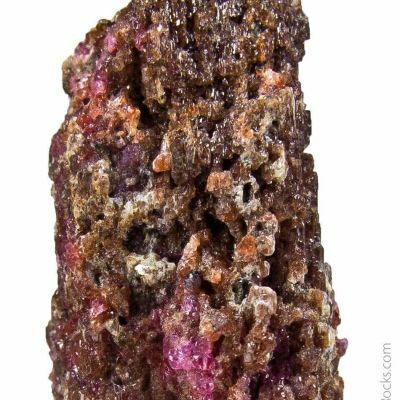 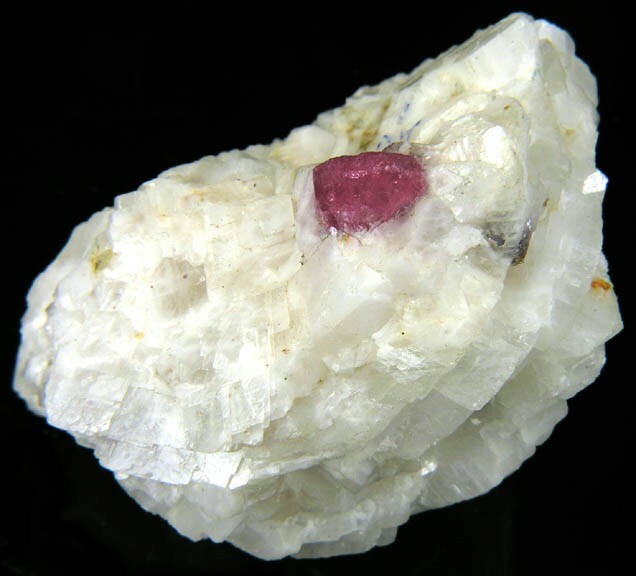 This specimen features a very good sized, rather sharp, somewhat lustrous, rich purplish-red color hexagonal Ruby crystal on white Calcite matrix. 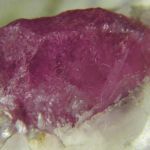 The color is very rich for a Ruby from this locality and it is not a light pink or even a rose pink color, it certainly has a distinct purplish hue. 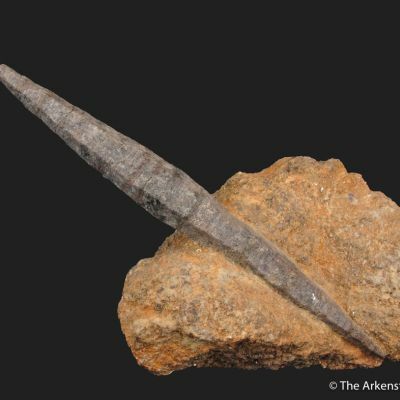 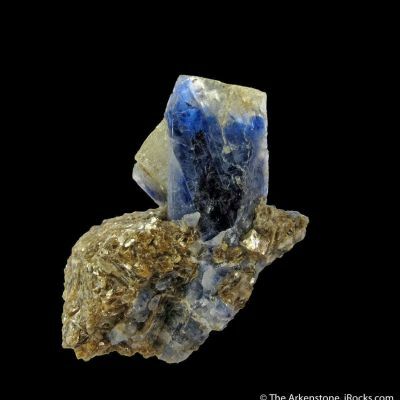 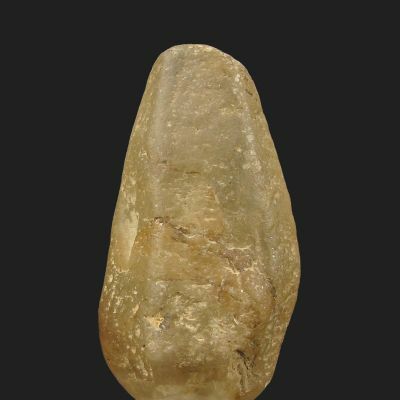 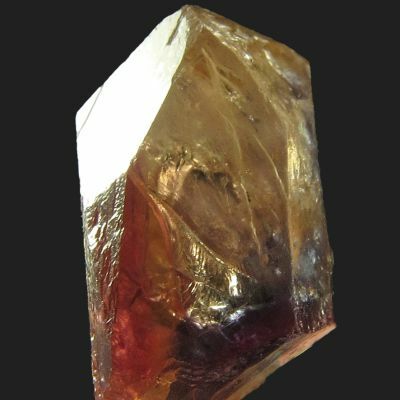 The crystal measures 1.0 cm long.